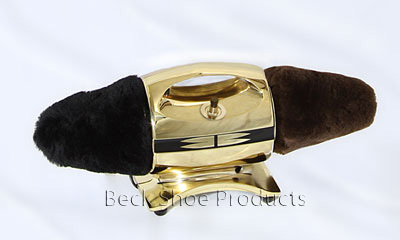 The Deluxe model without the handle has a button you push and the polisher will keep running until you push the button. The Deluxe model is best used on a bench or a table. Great for polishing many shoes at one time.